Southern Sudan disintegrated itself from the northern Sudan after having a civil war for a long time, a war that was considered to be the longest and costliest in Africa. South Sudan became independent in 2011, and one of the advantages it had over the northern Sudan is that it took almost three quarters of the revenue of the country, which is oil. The only advantage South Sudan had is that all the refinery, pipelines and port for organizing the exportation of the oil are in north Sudan. South Sudan stopped the oil production in the beginning of the year 2012, after having a dispute with the northern side over the transportation fee required. This almost led to both countries having a fight over the issue at around April, 2012 (Kushkush). The two countries have suffered a lot from the oil revenues loss, with the southern side, depending on it for approximately 98% of the revenues in the country. However, the two countries are taking a step forward to reduce the known hostilities that have made their economies weaken in a severe way. They decided to have the production and transportation of oil resumed, which saw them signing an agreement on Tuesday, 12th March 2013. According to the agreement signed, the resumption should begin in about two week’s time. The agreement read that they could resume to producing oil as soon as they are technically feasible. Stephen Dhieu Dau, the minister of petroleum and mining, said to the reporters that they hoped they could resume as soon as possible (Johnson 213). This agreement was signed in Addis Ababa, Ethiopia. It was under the African Union supervision. The agreement sets some mechanisms and a timetable that will be used in enacting a cooperation agreement that was signed by the two countries in September 2012. The agreement also contained other matters that were addressed in the agreement that are scheduled to be carried out immediately in the next couple of weeks. These matters include the borders demarcation, security arrangements, trade, pensions, economics and the status quo of the people, who live across the border. They also gave their consent to implement the agreement on March 10th, which the chief negotiator in Sudan, Idris Abdel-Gadir, when talking to the reporters, referred to this day as a D-Day. Before they made this agreement on Tuesday, the two countries defense ministers had made an agreement to establish a demilitarized area in the border line. This was meant to be a part of the security arrangements that they had both made (Lobban 104). 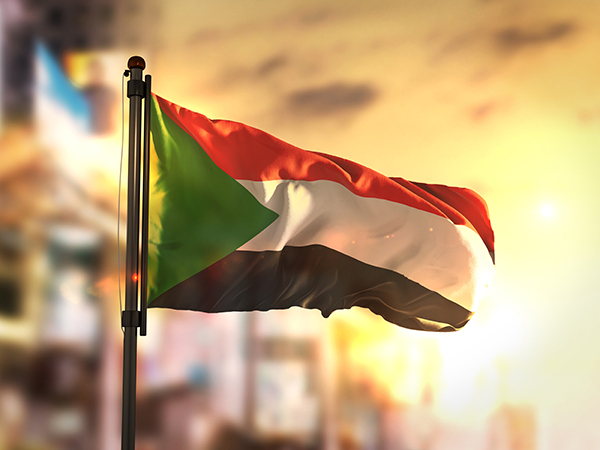 This was done with an immediate effect as the defense minister in the northern part of Sudan, Abdel-Rahim Hussein, made confirmations to reporters that their troops had started moving away from the border. This withdrawal by the northern side made southern troops give orders to their troops in order to also make a step and withdraw from the agreed border zone as confirmed by the spokesman of the South Sudan troops, Philip Aguer. This agreement has been taken all over the world, with some countries having mixed feelings. The United States Department of State emphasizes that they have welcomed the signing of the agreement by saying that it would help in giving the two countries a safe border zone that will be demilitarized. However, the US fears that the agreement will not be implemented due to the two countries having a troubled history. The American ambassador, Susan E. Rice, claims that very few agreements are implemented despite them being signed. The agreement did not, however, make any agreement concerning the Abyei district, which has a lot of disputes (Human Rights Watch). However, they also agreed on establishing an administration, Security Council and a council in the region. The two sides have agreed to have another meeting again on Sunday, in the same venue. This agreement, which is a 17 page document that was signed by the Northern and Southern Sudan negotiators and facilitated by Thabo Mbeki, the former South African president, who is the African Union mediator, in terms of a timetable that is detailed so as to make implementations of several signed agreements. Oil will actually grab the headlines, but in actual fact, trades remain the most significant thing to the two countries citizens, who live near the border which is full of disputes (Copnall). The fact that this timetable was desperately needed is a clear indication of the difficulties that the two countries face. The two countries have experienced a lot of pressure, which is subjected to them by the international bodies and countries such as African Union, China, and the United States among others. Despite these pressures, the vital treaties agreed between the two countries have not been implemented. Conclusion This agreement cannot be considered as a new deal. It can be categorized best as a commitment that is made in order to make implementations of the previous nine agreements that were signed in September, 2012. One of the agreements made by the two countries last year was for them to set a buffer zone up. This was after the two Sudan countries had gone through their worst border clashes. That was back in April, after they had split. None of the agreements took effect. As the American ambassador, Susan E. Rice said that signing of agreements between the two countries is much easier than implementing them. This means that citizens of the two countries will have to wait and see the oil flowing, before they can start having any celebrations. The whole world is also waiting to see whether the agreement will be implemented due to the bad history that the two Sudan countries have. Works Cited Copnall, James. “Sudan rivals 'to resume pumping oil'.” BBC News, 12 Mar. 2013. Web. 15 Mar. 2013. Human Rights Watch. World Report 2013: Events of 2012. New York: Seven Stories Press, 2013. Print. Johnson, Douglas H. The Root Causes of Sudan's Civil Wars: Peace or Truce (African Issue). Oxford: James Currey, 2011. Print. Kushkush, Isma’il. “Sudans Sign Agreement to Resume Oil Exports.” The New York Times. 12 Mar. 2013. Web. 15 Mar. 2013. Lobban, Richard Andrew. Global Security Watch - Sudan. Santa Barbara, CA: ABC-CLIO, 2010. Print. Religious Autocracy in Islam The Arab Spring is an event that is common and still fresh in every person’s mind as long as Islam and desire for democracy is concerned. What is of significance is that these strings of revolution occur in countries whose majority of residents are Muslims. Therefore, these incidences trigger a question whether democracy really existed or exists in countries that are Islamic. The Arab Spring is a terminology referring to standoff that world at large have witnessed between the ruling Islamic government and its supporters and the protesters. Since 2011, one Islamic country after another has undergone a revolution aimed at toppling the ruling government. The first country to go into a revolution and eventually succeed in removing its top leaders from office is the Republic of Tunisia. Zine El Abidine Ben Ali was the Tunisian president by then and blame game lied on his court where public accused him of poor democracy in his governance (Lutterbeck 32).Tunisia is a country whose governance outline is heavily inclined into Islamic teachings and principles. A larger percentage of the Tunisian mass felt that its president clinched onto power for so long, employed autocracy in his ruling, and barely cared about human right values. The president was the sole authoritarian, in which he hid his despicable ruling behind the shadow of the Holy Qur’an. However, the most startling thing in the Islamic teaching in the Holy Qur’an reiterates that neither authoritarian nor autocracy leadership is prioritized. Then, under which doctrines did this Tunisian leader base his authoritarian system of leadership? That is a question that many wonder about and put them into a dilemma since no one has a clear answer to it. However, the revolution had the responsibility of changing leadership where by Tunisia governance changed into a democratic one. The change raised a question whether Islam would be compatible with the democracy given that they have witnessed autocratic governance since time immemorial (Axiarlis 23). It is critical to accentuate that Islam as a culture and religion should be completely separated from politics. Indulging Islam into politics converts the religion making a tool that leaders can use in effort of achieving their political goals. Events that took place in Tunisia did not end like that but acted as a precedent case for other Islamic countries that also felt that political change was fundamental for a better life. Egypt followed by toppling their president’s government, Hosni Mubarak, as they felt that he denied them their fundamental human rights. Hosni used authoritarian rule where he did not want to hand over power to another person despite being in leadership for over three decades. Libya was the third Islamic country to carry out a revolution against their leader, Muammar Gaddafi. Libyan also sighted similar reason behind this revolution that Muammar did not create room for human rights and constantly abused this fundamental right. Soon after, Gadaffi died of a bullet shot on his forehead and the rebels took charge of power. Libyans wanted a government that could listen to their grievances without any harassment or exertion of external pressures not to demand for their rights. Bahrain, Syria, and Yemen were other countries that went into a revolution demanding for democracy or self rule. This continuous chain of revolutions that have continued to bedevil Muslim world has created a debate in the world at large on whether there is a demand for democracy in the Muslim world. Since time immemorial, traditional autocracy system of governance and Islamic states were two things that remained inseparable. This developmental change raises some critical questions that seem a dilemma to many up to date. One of the critical questions is based on the current regimes of government that Muslim societies in plurality employ. The second question seeks to understand which regime of governance is preferred by the public living in Islamic States. Briefly, the two questions try to evaluate whether Muslim publics prefer secular democracies in place of traditional autocracy governance system. Secular democracy is a completely different phenomenon based on how Muslim publics are governed. Firstly, it gives room for freedom of worship where religious pluralism takes place freely, something that is illegal in many Islamic states since Islam is the sole state’s official religion. In secular democracy government authorities and religious ones are two autonomous entities. In Islam, the scenario is completely different as Islamic religion and state’s governance remain symbiotic. Any measure that the government intends to undertake must involve religious leader in effort of ensuring that it falls within the Islamic outline and principle. More often than not, many Islamic states practice religious suffocation where they do not allow religious beliefs diversification. Consequently, followers of other faiths such as Christianity and Buddhism find themselves placed at the corner of negligence and harassment (Tamimi 58). Conversely, not all Islamic countries use traditional authoritarian leadership system since Turkey stands out unique. Despite more than 50% of Turkish population being Muslims, the country has fully embraced secular democracy as the outline of its governance. Turkey uses a system of governance that they popularly refer to as the Turkish Model. Here, the government of the day fully embraces secular democracy where every citizen has freedom of worship (Axiarlis 47). Religious pluralism is the order of the day when it comes to one’s freedom of worship. Any form of religion harassment is illegal and if accused of such an offence, one is apt of being fined or serving a jail term. Moreover, religion and the system of government function as two different bodies that are autonomous of each other. They only engage in during times of leadership consultation for a better Turkey. Therefore, this presumes that shari’ah law is not an arm of the Turkey’s government despite more than half of its population being Muslims. Malaysia is another country that has absorbed secular democracy just like Turkey and unlike Iran and Afghanistan, which have opted to remain under traditional authoritarian rule. In Iraq and Afghanistan, constitution of the country is based on the Islamic doctrines and guidelines. Therefore, this means there is prevalence of spiritual authorities in these countries’ governance and political system. Parties inclined to conservatives of Islam are the most predominant in these countries. Empowerment of religious courts is customary in the aim of ensuring that there is good adherence of Shari’ah laws by residents. The Afghanistan and Iranian model of governance mean that religious pluralism and also secular democracy has no place among their publics. However, there are other Islamic states that fall in between secular states and the traditional authoritarian rules. Therefore, these scenarios put forward a question whether secular democracy is indeed an essential tool in Islam or they view it as an obstruction to smooth running of their affairs. Secular Democracy in Islam Democracy in Islam is a modern thought pertaining to Islamic politics. It is predominantly aimed at the effort of democratizing Islamic states which have for a long time been autocratic. In contrast, Muslim political scientists are keen on such a move given the fact that democracy is a Western ideology which if adopted can have enormous distortion on their lifestyle. However, there is another group of famous political think tanks who view it as beneficial to a democratic Islam. There were political scientists such as Mirza Mohhammad, Khomein, and al-Kawakibi and together they were of the idea of a practicable argument. Here, constitution could ensure that there was fundamental Islamic practices protection while at the same time establishing and maintaining democracy in a country’s governance (Sadri and Sadri 41). Mirza Mohammed’s idea faced opposition in that some fundamentalist thinkers saw Islam and democracy as two things that were totally incompatible. They cited that an irreconcilable rift existed between democratic principles and Islamic ones. There are a number of reasons that these fundamentalists based their arguments upon. Firstly, they view democracy as a Western ideology aimed at distorting and diluting Islamic philosophies. There is also resistance to democratization of Islamic states based on the fact that western nations colonized them through a vile way. Therefore it becomes questionable reason for such countries to adopt it given the fact that Western oppressed them. Furthermore, its establishment grounds and the bad practices it creates make it undesirable for Muslims. Secular democracy is inseparable with bad vices in the society such as prostitution and homosexuality, practices that Islam condemns. However, these fundamentalists view the state of a government democratically while at the same time observing democracy as an absurdity. They are of the view that any democratic system of governance if construed in the right way may force them to sacrifice some Islamic values. It is feasible to implement a democratic Islamic political system that will observe Islamic Shari’ah while unison having a harmonious society in an Islamic state. Public participation in making decision pertaining to politics can help in the allocation of socio-political aspirations relating to Islam. Moreover, democracy will help citizens portray their opinions since there is evenly distribution of political power (Chatterji and Jain 36). An endless conflict exists between the democracy and a traditional juridical referred to as fiqhi. Therefore, a religious democracy setup requires critical thinking. Additionally, it requires reviewing and also deep reinterpretation with an aim of realigning and conforming to the international values of democracy. Hence, the key to a religious democracy lies upon restructuring of Islamic knowledge that both political and religious leaders have kept traditional. Depiction of democracy as a disbelief (kufr) system that cannot in any case be compatible with Islamic doctrines and beliefs. Therefore, this phenomenon means that as long as one remains committed to Islamic teachings, he cannot leave any space for democracy. This school holds that state’s governance through a democratic Islam is an attainable scenario. The school accentuates that it is impossible for Islam to gratify foundations and values requires essential in democracy. Power Concept in Islam In Islamic society, religious law possesses the right to justify a person attaining political powers. Therefore, the overall authoritarian in ranking system of power is the bench of jurist. Theologians established Islamic doctrines that relate to power enabling them to create a connection between theology and politics. They use a concept or philosophy referred to as classical Islamic. Pessimists in democracy already have a conclusion that a gap exists between cultural practices and religious ones. The gap is a result of differences in understanding of power legitimacy in the modern democracy and the Islam origin. On the contrary, democratic governance is completely opposite of the Islamic one since it only considers power legitimacy and its state without any religious affiliation. The concept sprung from Western world and it is popularly referred to as “Secular European Weberian Concept”. Western introduced this concept to the Islamic world during the 19th up to the 20th century during the colonial period (Khan 38). In addition, they also introduced another concept famously referred to as nation-state model. The reason behind laxity in the adoption of secular democracy by Islamic states dates back hundreds of years back. Unlike democracy, theory of power in Islam is an indigenous phenomenon that a man known as Abu-al-Hasan developed during the 11th century. Abu al-Hasan was a jurist and also a scholar by then indicating how powerful religion was then. He based his opinion on belief that no one had the right to question a leader since he was an extension of the sacred law. Therefore, the state’s institution had to subject itself to the religious leadership. Islamic states prioritize on Islam doctrines and then narrow down to political social matters. Based on this framework, sacred Shari’ah entails the three arms of life which are social, juridical, and the political pillar. According to him, there existed no distinction that clearly portrayed a divide between the juridical and religious norms. Their origin could be traced from a single spot, which is from the prophet traditions, Sunna, and from the Qur’an. Based on this presupposition, therefore, one can carry out analyses as to why majorities of Islamic states have autocratic leaders. Political leaders know that they have an obligation of safeguarding the sacred law and the divine will since they are subject to it. However, interpretation work of this law is a sole duty of jurists. However, at the formative stage of the Islamic civilization period, political and jurisprudence dominions became two different spheres. Religious scholars had consent to handle legal matters since they were well conversant with the Islamic doctrines. Jurists can command for approval of a political decision that a political leader enacts or disapproves if it goes against the Shari’ah law. Any establishment of legitimacy by a political leader, consequently, lied within the jury. Islamic jury tries to set laws that could help regulate both personal lives and the public sphere. Thus, political realm and the religious organ work cordially in trying to govern republic’s affairs. Community’s Consensus in Islamic Countries Ijma is the perfect word referring to consensus in Arabic language. 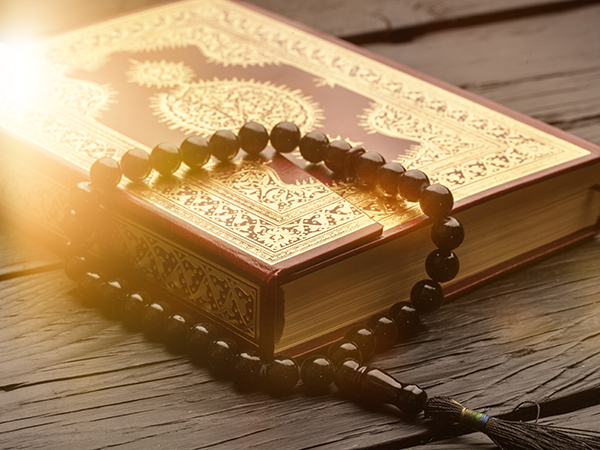 According to Islamic traditions, a ruler is equal to Allah’s tool where he has to observe the sacred law and become a mediator of the divine will. Authority to elect the ruler lies squarely within the community (Ummah). There is an assumption that the community is not subject to errors since God guides it through the divine authority process. Sunnah legitimizes the Ummah’s frailty since it treasures Mohammed the prophet’s words where he reiterated that that the community will not at any time accept an error (Meyer, Sahlin, Ventresca, and Walgenbach 59). For that reason, anything that the public agrees upon becomes legitimate. Hereditary succession in leadership is a phenomenon that is disallowed by traditions that guide the jury. Al-Ulama are a group of scholars that have the right to choose a new leader. Consultations (shura) are the process through which reaching of consensus takes place during a leader’s election. This body does not only embrace religious leaders but also entails social groups’ representatives. As a result, there must be balancing of power entrusted to rulers. On the other hand, the study can be based on recent findings where there is close observation of Muslim states on whether they favor religious plurality or they are just religious autocracies. The study seeks to establish whether majority of these states opt to go for Turkish model that favors secular democracy or they are for religious autocracy model. Iranian government has absorbed religious autocracy model which tends to favor Islam over the other religions. However, according to findings of a recent research, countries depicting Muslim-plurality had positive attitudes in matters pertaining to democracy. Indeed, there existed no gap on the way Western publics and Muslim-pluralities viewed democracy. The two groups approved for democracy practices implementation, upheld ideals of it, and endorsed a system of political leadership. According to Mark Tussler, Egypt, Morocco, Algeria, and Jordan supported democracy in equal measures. Nonetheless, publics in Muslim states profoundly exhibit support for political and societal roles through authorities that are compared to Western publics in terms of religion. Indulging of religious leaders into matters of governing a country presented a problem due to the manner in which clergy view democracy. Clergy is not well conversant with democratic procedures in electing a leader since it entails electoral mechanisms and procedures. Clergy work in approving leaders is completely opposite to the democratic process since it involves processes such as inheritance and appointment. Therefore, democratization of most of the Islamic states exhibits tension since it would distort and dilute this society’s common understanding of leadership. However, countries such as Iran, Jordan, and Eritrea saw congruence between religious authorities and the democracy procedure despite them having little knowledge about democracy. Therefore, support for democracy or autocracy in these Islamic states depends on public’s attitude. Apparently, democratic support is one that is multidimensional and complex. Precisely, democratic governance without any consideration of trade-offs can prove it hard for one to determine relative preference of the rule that public wants. Consequently, Egyptians, Jordanians, and Moroccans exhibit great support when it comes to democratization of their countries. Nevertheless, this dilemma prevails when it comes to social stability maintenance, traditional authorities’ respect, or to the risk that relates to regime change. Correspondingly, when it comes to matters that relate to health sector positive rectification, then there is wide endorsement. However, when it comes to a trade off austerity measure such as taxation, there is validity in answers due options prioritization. Hence, this makes trade-off questions better tools for determining whether public of an Islamic state prefers autocratic governance or it is ready for democracy. In a nutshell, governance of Islamic states is not uniform but takes different forms which can be classified under the four categories of governance. These are secular democracy, religious autocracy, secular autocracy, and religious democracy. There is diversification in matters pertaining to regimes that govern Muslim-plurality publics. For instance, a country like Mali has a government that uses secular democracy despite having more 50 % of its population as Muslims. Chad is an Islamic country that uses secular autocracy system of government. Tunisia, on the other hand, has a system of governance that can be classified as religious autocracy. Therefore, one cannot make a conclusion that Muslim plurality governments use religious autocracy. However, it is a reality that majority of Islamic states use religious autocracy system to govern their internal affairs. To sum up, when one takes a closer look at the Arab Spring that has rocked Islamic nations over the recent past, he will notice that there is a revolution for leadership change. Countries such Egypt managed to topple the Strongman Hosni Mubarrak, and Tunisia Ben Ali. There was no sparing of the Yemen leader, Ali Saleh Abdullah who was viewed as an autocratic leader. Other Islamic countries that experienced similar protests were Djibouti, Algeria, Jordan, Armenia, Iraq, Bahrain, Oman, Syria, and Libya. All of these states have similar complaints, they all demanded for democratic governance since their leaders were autocratic. The Islamic revolutions have drawn the world attention where there is focusing of eyes to North Africa and the Middle East. These revolutions have brought forth governance where the countries’ top leadership has given into public’s demand. Majority protested for democracy where they can be consented to live according to their wishes. As a result, these countries have gradually transformed to secular democracy from autocracy. Moreover, human rights observation activities have increased where there is freedom of worship. Ironically, other political analysts fear that religious extremist groups may attain power hence endorsing stricter Islamic laws than before. However, these revolutions offer a clear conclusion that majority of Muslim public wants secular democracy governance system as this was the main goal for the revolution. Therefore, it can be concluded that secular democracy governance system is completely incompatible with the Islamic teachings and religion. In fact, Qur’an can become a perfect tool that can help resolve the autocracy stalemate that has rocked Arab countries for long. Al- Ulama can make use of Shura (consultation) in their effort to engage with running of political affairs with their leaders (Safi 48). Consultation with secular and democratically elected leaders can be possible since the Holy Qur’an gives room for consultation with other groups. Moreover, human rights and religious pluralism is attainable since Qur’an grants everyone a chance to worship according to his will. Works Cited Axiarlis, Evangelia. From Conflict to Resolution: Turkey's Secular State and Political Islam: A Case Study of the Policies of the Justice and Development Party. PhD thesis. Arts - Asia Institute, The University of Melbourne, 2012. Print. Chatterji, Manas, and B. M. Jain. Conflict and Peace in South Asia. Bingley: Emerald, 2008. Print. Khan, Ali L. A Theory of Universal Democracy: Beyond the End of History. Norwell: Martinus Nijhoff Publishers, 2003. Print. Khatab, Sayed, and Gary D.Bouma. Democracy in Islam. London: Routledge, 2007. Print. Lutterbeck, Derek. “Arab Uprisings, Armed Forces, and Civil-Military Relations.” Armed Forces & Society 39.1 (2013): 28–52. Print. Meyer, Renate E., Kerstin Sahlin, Marc J. Ventresca, and Peter Walgenbach, eds. Institutions and Ideology. Bingley, UK: Emerald Group, 2009. Print. Sadri, Mahmoud, and Ahmad Sadri, eds. Reason, Freedom, and Democracy in Islam: Essential Writings of Abdolkarim Soroush. New York: Oxford University Press, 2002. Print. Safi, Omid, ed. Progressive Muslims: On Justice, Gender and Pluralism.Oxford: Oneworld, 2003. Print. Tamimi, Azzam S. Rachid Ghannouchi: A Democrat within Islamism. New York: Oxford University Press, 2001. Print.